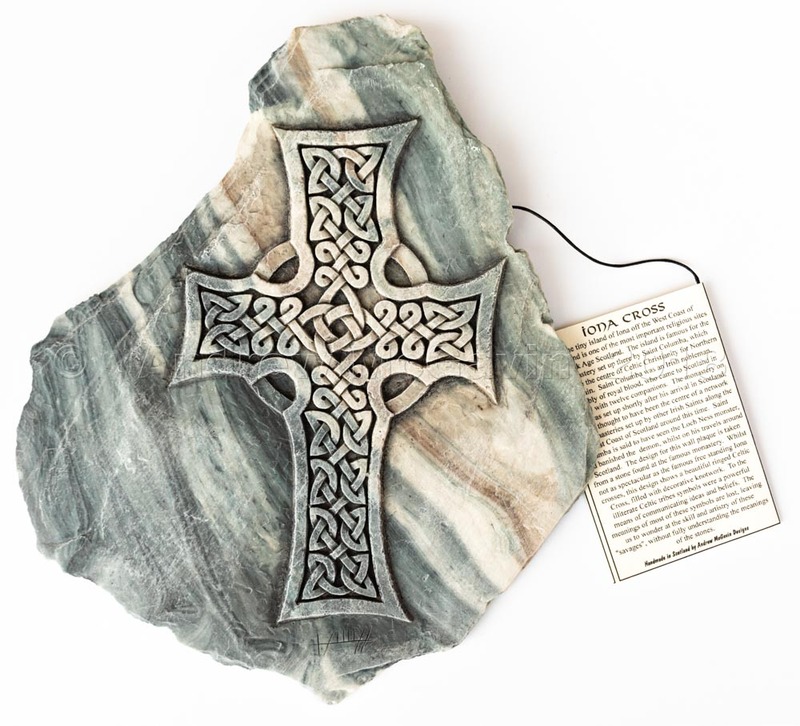 The Celtic Cross design used on this Celtic wall plaque is taken from a stone found on the island of Iona off the West coast of Scotland. The monastery on Iona was set up by the Celtic Saint Columba, and was an ancient centre of the early Celtic Church. Many fine examples of carved Celtic Crosses have been found on this small island, including the original of the design used on this Celtic wall plaque.